Chelsea have secured a €64million deal for Christian Pulisic, who will stay at Borussia Dortmund on loan until the end of the season. Pulisic has long been linked with a Premier League move and Dortmund confirmed on Wednesday a deal with Chelsea has been agreed. The United States international will remain with Dortmund as Lucien Favre's men push for the Bundesliga title, sitting six points clear in top spot over the mid-season break. 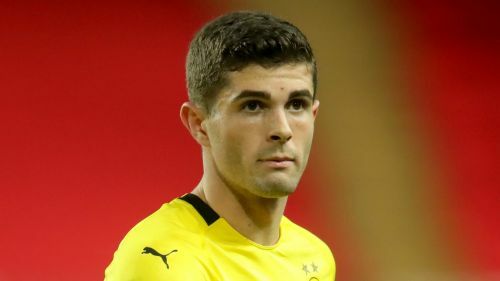 Dortmund's sporting director Michael Zorc said Pulisic's expiring contract – his deal was set to run out in 2020 – was among the reasons for the sale. "It was always Christian's dream to play in the Premier League," he told Dortmund's website. "That certainly has to do with his American background, and as a result we were unable to extend his contract. "Christian Pulisic as a character is a perfect player. I am sure that in the coming months he will do everything in his power to bring his high quality to the team and to achieve his sporting goals with his team-mates at Borussia Dortmund."